Registration opened Friday May 18th, 2018 at 10:00am! Before registering, please read and understand our refund and discount policies. Questions about our hot/wet weather policies? Read our Rain or Shine suggestions for more information about how we embrace exposure and the elements. 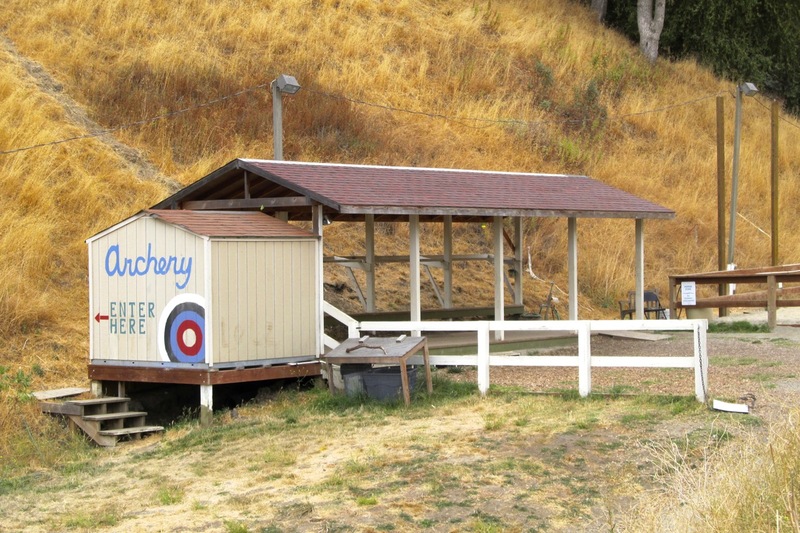 As a note, our Archery deck does have a roof over it, shading Archers from the summer sun and protecting school year Archers from the winter rains. 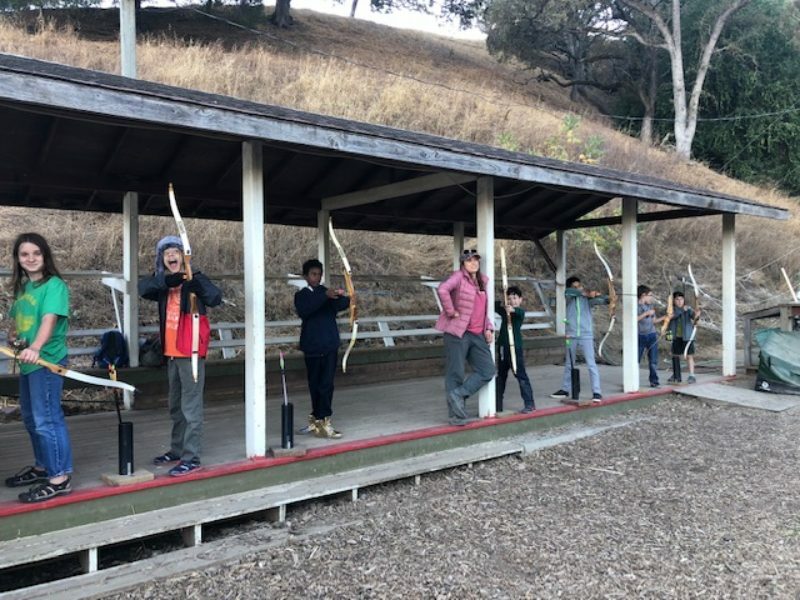 The Sienna Ranch Archery Program introduce students to a neutral, solid shooting form for recurve or compound bows, developed by the nation’s top archers. 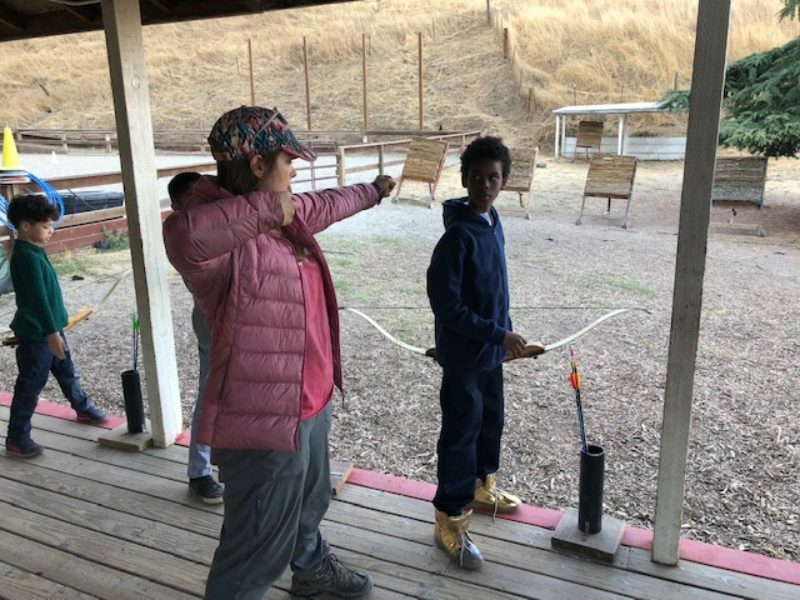 Sienna Ranch Archery instructors are highly trained and experienced, ensuring that students have fun learning the sport of archery while maintaining the highest standards of safety. Each week students are encouraged to focus on a specific aspect of their shooting form, while reviewing skills learned in previous classes. 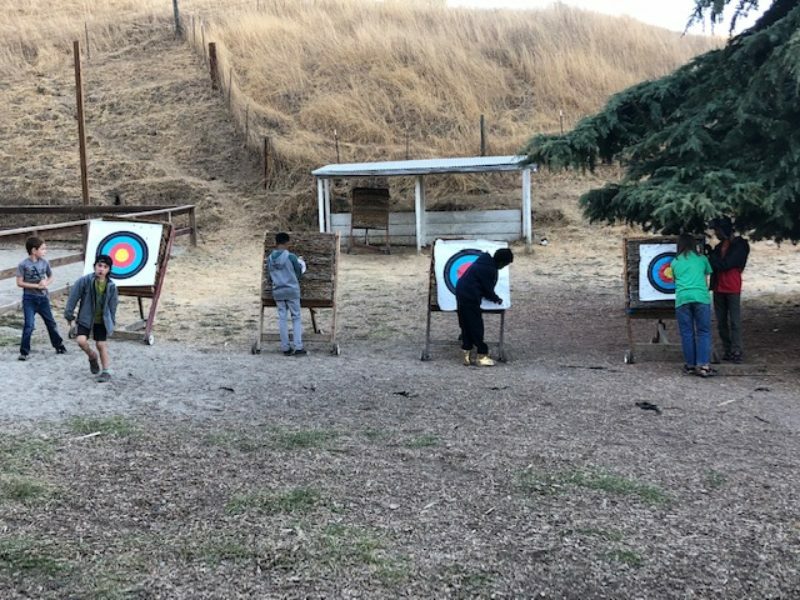 After gaining a basic level of proficiency and safety, archers may choose to challenge themselves and keep track of their progress by participating in Sienna Ranch’s archery patch program. Class is appropriate for beginners and returning archers. With a fully covered shooting line, classes will be held rain or shine! Individualized, one-on-one instruction and coaching from one of our experienced archery instructors. Available during the Fall and Spring only (due to limited daylight in winter). 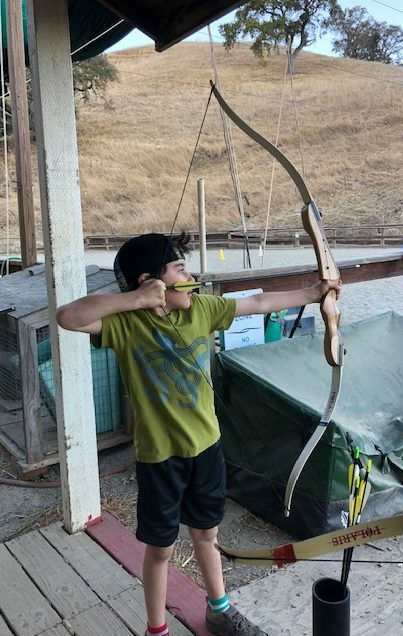 For more information, or to schedule a Private Archery Lesson, call our office: (925) 283-6311. Need a later pickup? Sign up for Coyote Club After Care and we’ll supervise your students during a free-play period at the end of the day. Available only to families who have purchased a Tuesday or Thursday afternoon class. Classes are eight weeks long. Join us for one session, or register for the full year. Registration opens Friday, May 18 2018! Rain or Shine? With a fully covered shooting line, our classes are held in any weather. Is Archery competitive? 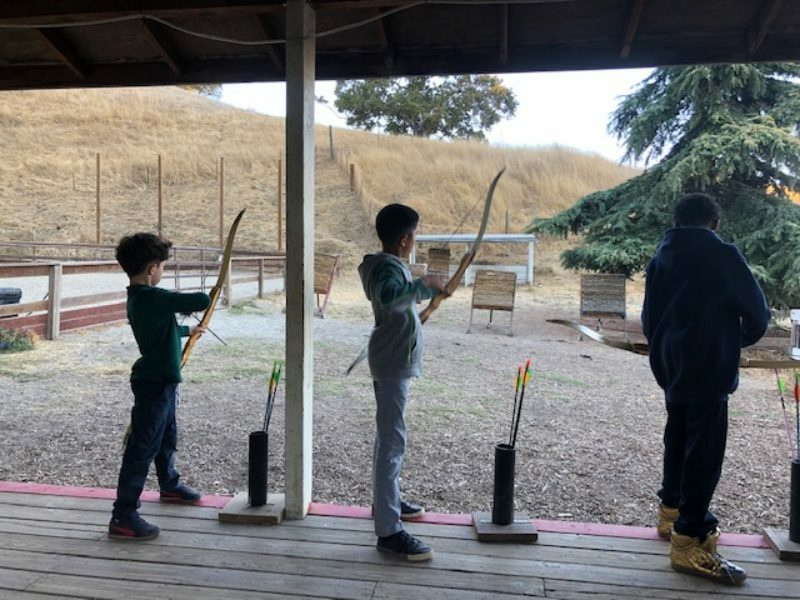 Our Archery program invites children and adults alike to have fun and challenge themselves in a safe and accepting atmosphere. Students may choose to participate in our Archery Patch Program to keep track of their progress. Why archery? Archery increases attention, self-confidence, self-control, listening skills, and the ability to follow directions. Can I bring my own bow? We have all the equipment you need, but you are welcome to bring your own recurve or compound bow if you prefer as long as it does not exceed 30 lbs in draw weight. Do you sell archery equipment? No, we are just dedicated to teaching. My child loves archery, can I try? 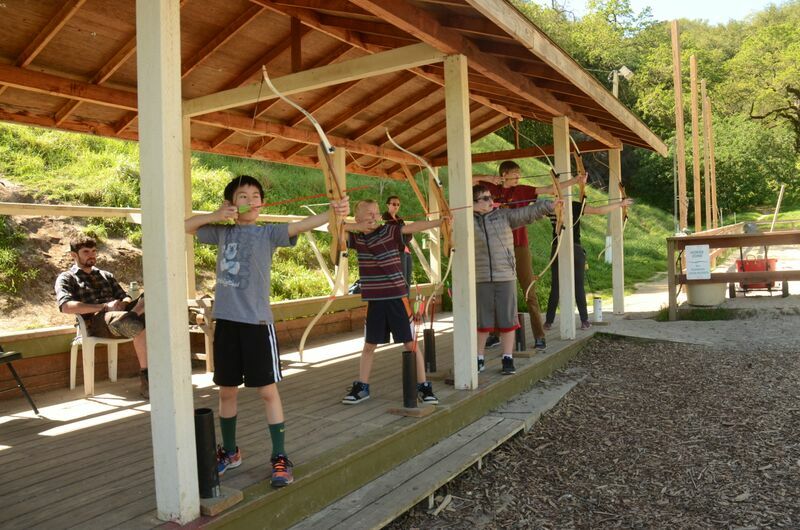 Many families are discovering archery as a quality way to spend time together. Join us for a Family Day Open House and get a taste for shooting during one of the short archery try-it rounds. 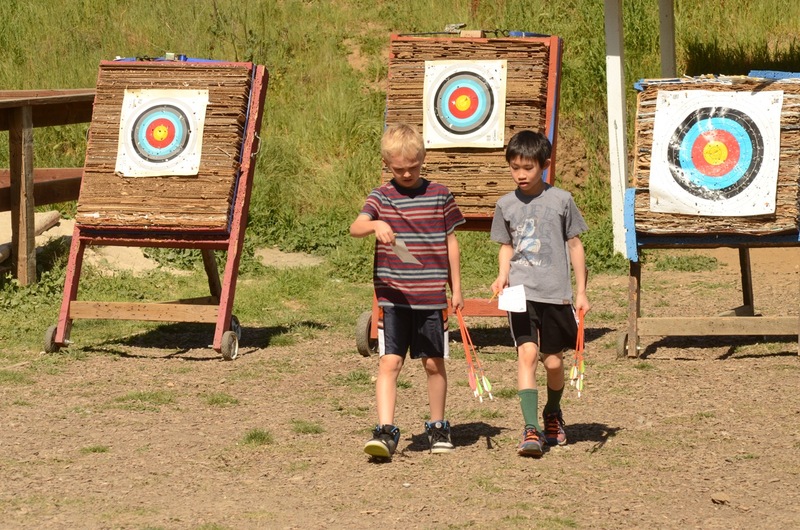 You can also book a Archery-themed birthday party for a longer target practice experience! 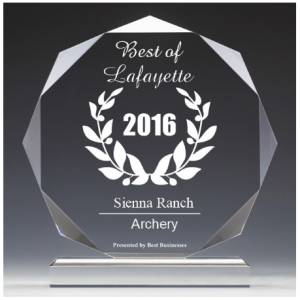 What options do archers have to develop their skills at Sienna Ranch? Our Archery staff all use USA Archery Instructor resources to guide and develop archers’ technique and form. This allows returning archers to continue progressing, even if new students join the program, since Archery is an individual sport. Archers should expect the first class of each session to include an introductory archery orientation with subsequent weeks including scoring. Our facilities allow shooting at a distance of up to 25 yards. Our waitlist feature is now included in our new registration system. To add your child to a waitlist put the class of interest into your shopping cart and check out for $0 dollars. You will receive a confirmation e-mail indicating your child has been added to the waitlist.